This classic book allows its readers for the first time to comprehend the size, organization, staffing and operation of a national system of hospitals and residential services for the subnormal. It also allows for the first time, reliable estimates to be given of the scale and severity of certain problems. The basis has been laid for an evaluation of the effectiveness of hospitals for the subnormal. All this has been made possible by a generous grant from the National Society for Mentally Handicapped Children to the Department of Sociology in the University of Essex upon the foundation of the University. Of course, a great deal of further research remains to be done but a preliminary network of information is now available to all those deeply concerned about the handicapped. 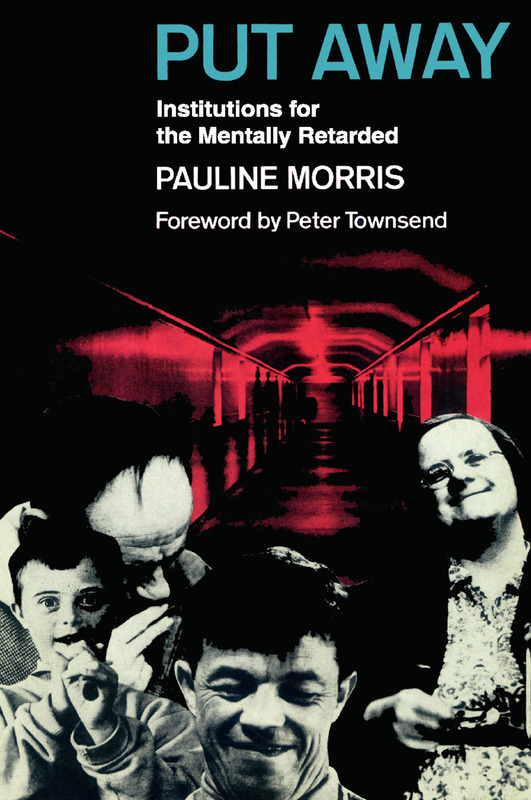 This is a study of the range and quality of institutional provisions made in England and Wales for that group of handicapped individuals who are known as mentally deficient. Dr. Morris reports on an investigation, which covered nearly half the hospitals for the sub-normal in the country: many of its findings can only shock and dismay. The investigation was concerned to discover what facilities-physical, occupational and educational-there was for patients, and to learn more about their social environment. It was also concerned to determine the extent to which both staff and patients are affected by their social environment, and by administrative action, and to learn something of the relationship between the hospital as an institution and the outside community, as well as between the patients and the outside world. In addition, it examined the extent to which the provisions and facilities available met the needs of the patients in relation to their physical and mental handicaps.